Hello! Happy (early) Thanksgiving to my American readers! This time of year, our thoughts focus on the things for which we are thankful. 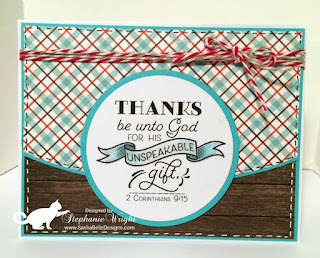 Our focus verse this week at Word Art Wednesday is 2 Corinthians 9:15 which states, "Thanks be unto God for his unspeakable gift." At the top of our list of blessings is the gift of salvation through God's Son, Jesus. Have you accepted this gift? What about your family? About a month ago, our grandson made the decision to trust Christ as his personal Savior. We are so very thankful and excited about Jack's decison. You can be sure as we are counting our blessings on Thanksgiving, Jack's salvation will be one of the things we list as one of our top blessings for 2016. As you have probably noticed, I am really loving Echo Park's I Love Family 6 x 6 paper pad. The colors and patterns are definitely ones that "speak to me." 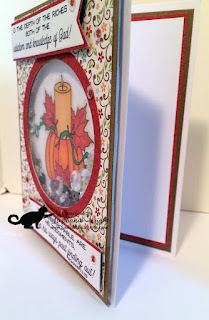 Simon Says Stamp is our sponsor for this week's challenge and I was able to use several of their products on my card. 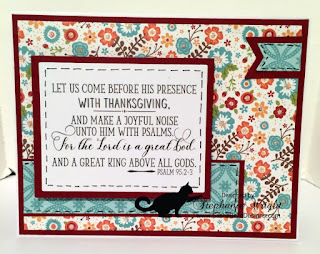 I smooshed Audrey Blue and Maliblue inks on an acrylic block and used a water brush pen to add some color to the banner in the Scripture WORDart. 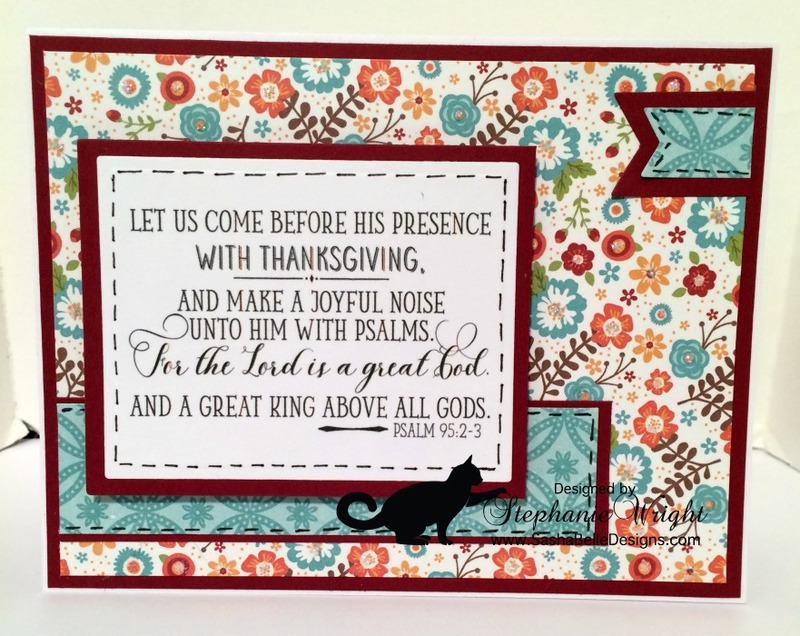 After die cutting the verse, I matted it with Audrey Blue cardstock. This same cardstock was used for mat the other patterned paper panels. 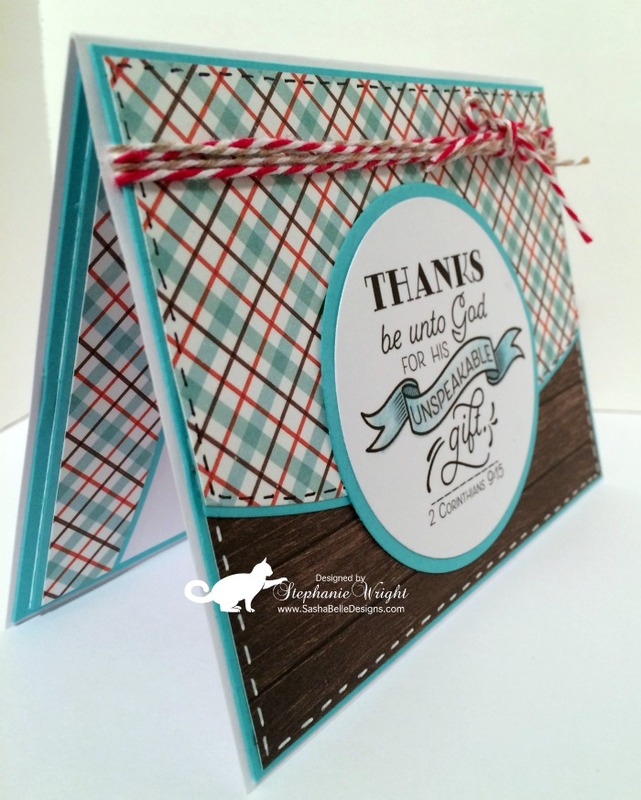 I used the A2 Card Curved Edge die to cut the plaid paper panel. I also used it to come some panels for the interior decorating. Some baker's twine, faux stitching and some Wink of Stella on the banner finish off the card front. I kept the card flat to make mailing easier. Thanks for stopping by for a visit today. 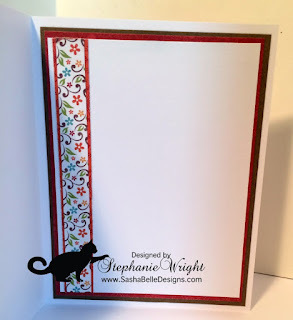 I hope you'll be able to visit the Word Art Wednesday blog to pick up your free digi and see the projects from the rest of the Design Team. I hope you have a Happy Thanksgiving and may the Lord bless you and your family abundantly. I've linked the products I've used in today's project below. I've used affiliate links whenever possible. I am very late with this week's Word Art Wednesday challenge post. Life got in the way and I wasn't able to get my card made on time. Ah well...better late than never. Right? This week's focus is on Psalm 95:2-3, "Let us come before His presence with thanksgiving, and make a joyful noise unto Him with psalms. For the Lord is a great God and a great king above all gods." During this time of year (in America), our thoughts turn to being thankful and expressing gratitude. That is fantastic and we should do that. However, when it comes to being thankful for the Lord and His goodness to us, we should be thankful 24 hours a day, 365 days a year (366 in leap year). When we think of all He has done for us, our praise should be continuous. Today, let's praise the Lord for His goodness. 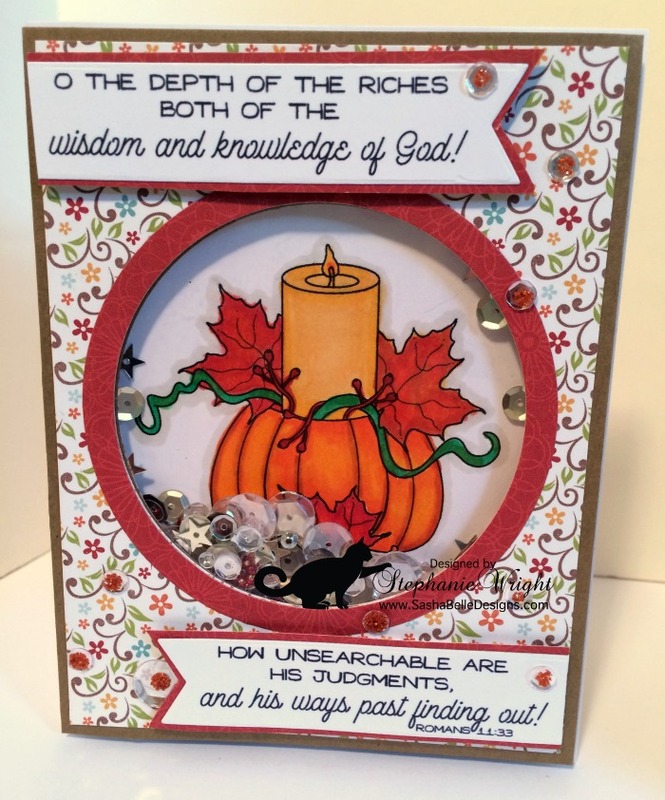 I used this week's Mojo Monday Sketch (MOJO473) as the inspiration for my card design. I kept it pretty simple to allow the verse to have the focus. 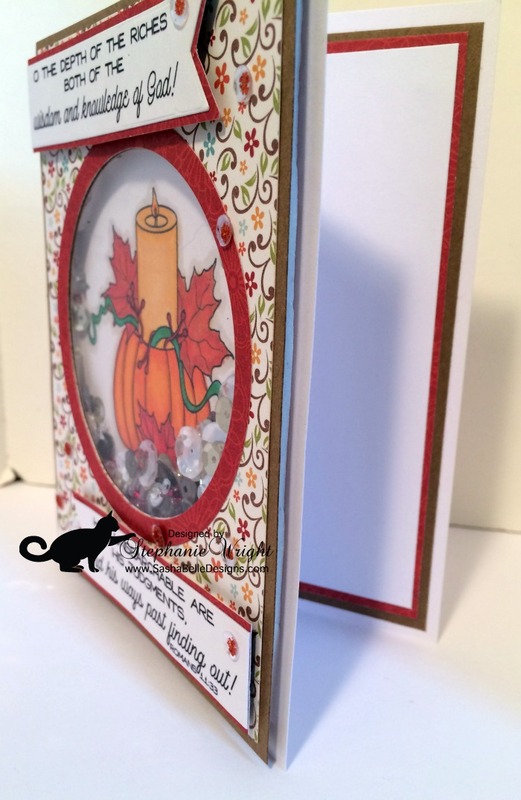 I love the beautiful fall, floral paper. The centers of some of the flowers were accented with Stickles. 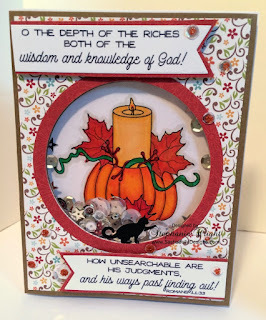 The scripture panel was popped up with craft foam. This will provide stability when mailed. 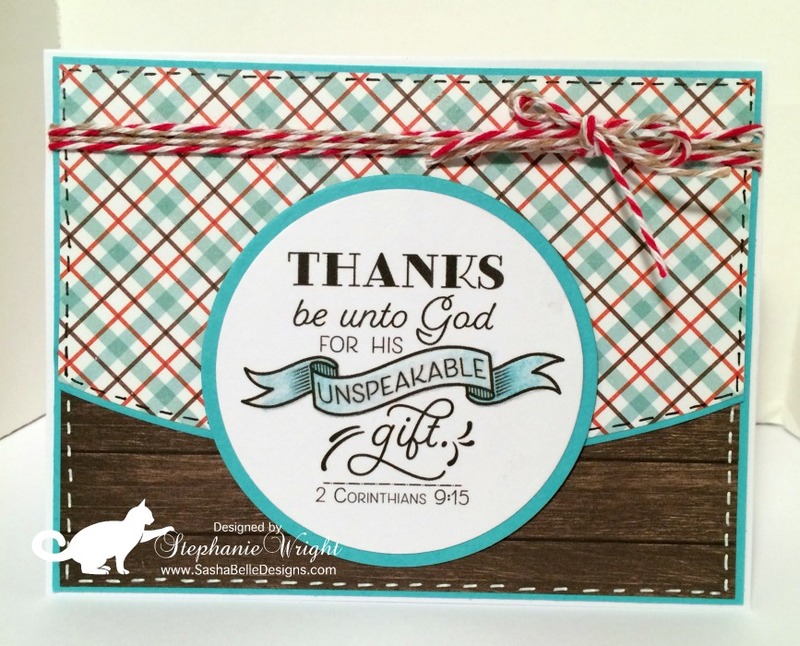 The interior decorating consists of a strip of patterned paper and a stamp by Jillibean Soup provides the sentiment. 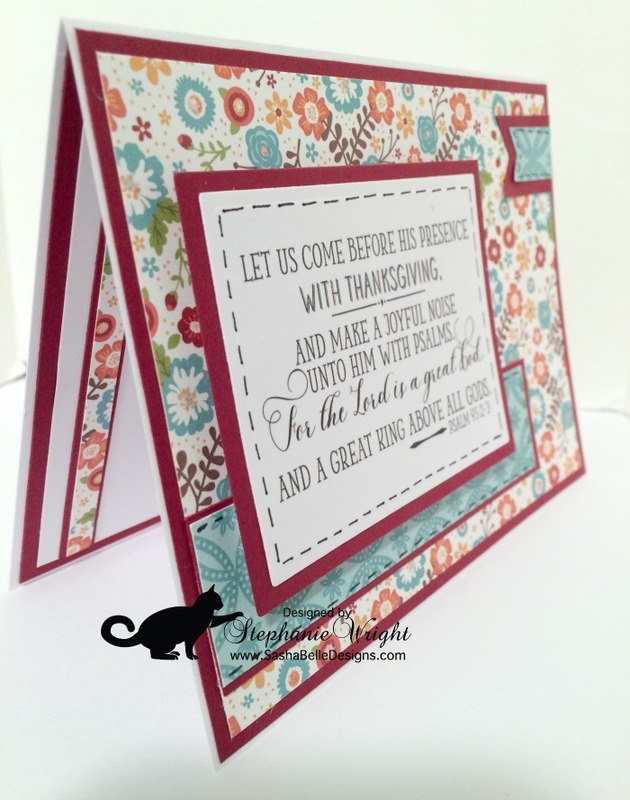 It will be perfect for a Thanksgiving card for a loved one. up your free digi. Thanks for stopping by. Please come back soon. I've linked the products I used below. Affiliate links were used where possible. These links provide me with a small commission at no additional cost to you when you shop using them.